Great art is not only beautiful, but deeply meaningful to both the artist and the viewer. 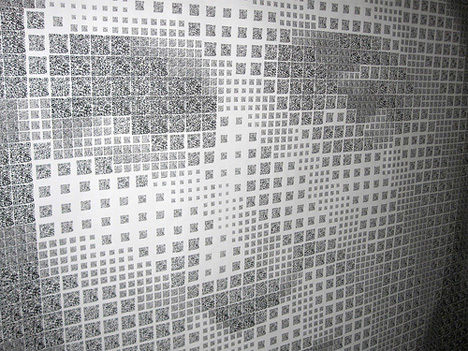 Artist Scott Blake has made a name for himself creating art with bar codes: those simple black-and-white stripey codes you find on nearly everything you buy. Now he is experimenting with the bar code’s younger, hipper cousin, the QR code. The QR code (short for quick response) is popping up in the most unusual places these days. It is typically used in advertisements to provide additional information about the product being promoted. 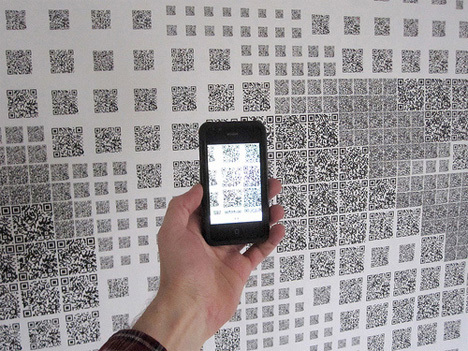 Unlike bar codes, no special equipment is needed to extract information from a QR code; they can be read by most smart phones. 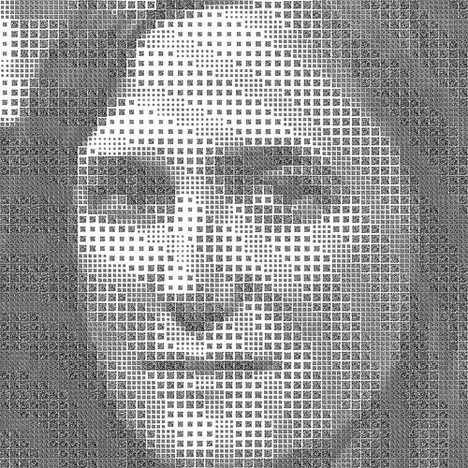 Blake’s QR code portrait depicts Amy Goodman, a journalist and host of the independent news program Democracy Now! 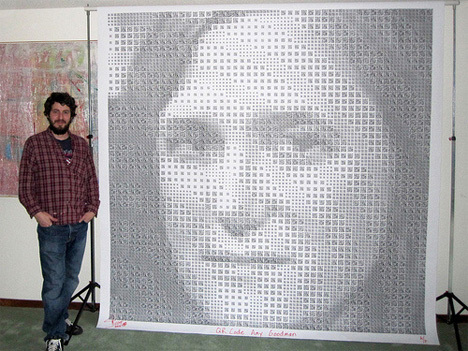 The portrait features a staggering 2,304 QR codes, all arranged perfectly according to their balance of light and dark to create a surprisingly detailed portrait of Goodman’s face. The codes take viewers to Democracy Now! videos that span nine years – an impressive collection of art in its own right. The portrait portrays not only the likeness of the person featured, but her life’s work as well.